The suitability of an optimisation algorithm selected from within an algorithm portfolio depends upon the features of the particular instance to be solved. Understanding the relative strengths and weaknesses of different algorithms in the portfolio is crucial for effective performance prediction, automated algorithm selection, and to generate knowledge about the ideal conditions for each algorithm to influence better algorithm design. Relying on well-studied benchmark instances, or randomly generated instances, limits our ability to truly challenge each of the algorithms in a portfolio and determine these ideal conditions. Instead we use an evolutionary algorithm to evolve instances that are uniquely easy or hard for each algorithm, thus providing a more direct method for studying the relative strengths and weaknesses of each algorithm. The proposed methodology ensures that the meta-data is sufficient to be able to learn the features of the instances that uniquely characterise the ideal conditions for each algorithm. A case study is presented based on a comprehensive study of the performance of two heuristics on the Travelling Salesman Problem. 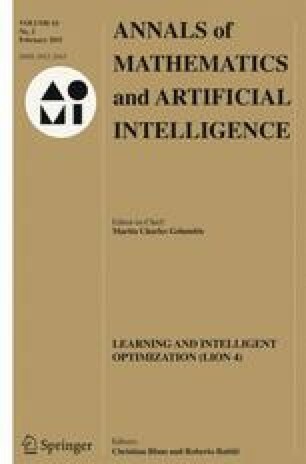 The results show that prediction of search effort as well as the best performing algorithm for a given instance can be achieved with high accuracy.